I love my Logitech devices, Mouse, Camera and speakers, I did however find a new bug in their software. 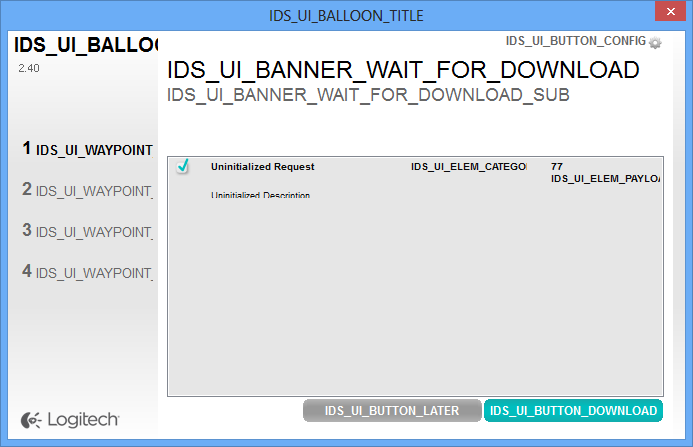 The following image is a screen cap from one of the control utils on my computer. I'm trying to figure out what happened. Does anyone have a clue ? At work we upgraded our messaging app to the new Microsoft Lync. 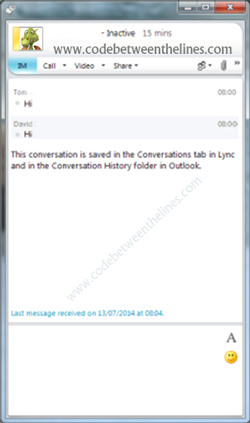 Lync is great and has some nice features I'm not planning to get into on this post. I used Lync for a couple of days and the text size started to bother me. Its too small ! At first I assumed that I was the problem and that I simply needed glasses, but after hearing complaints from other users I got the feeling that the Microsoft default text size was simply too small. Like all the other users I was able to change my own text size but not the other users text. Looking for a solution I found two simple fixes. 1 - In an active chat window, Press alt. you should now see the previously missing window menu. 2 - Select "IM Text Display Size"
3 - Choose the new default text size. If the settings option wasn't simple enough, Microsoft has a key shortcut for changing text size. In the chat window,press Ctrl+[ to enlarge the text. Press Ctrl+] to reduce the text size.